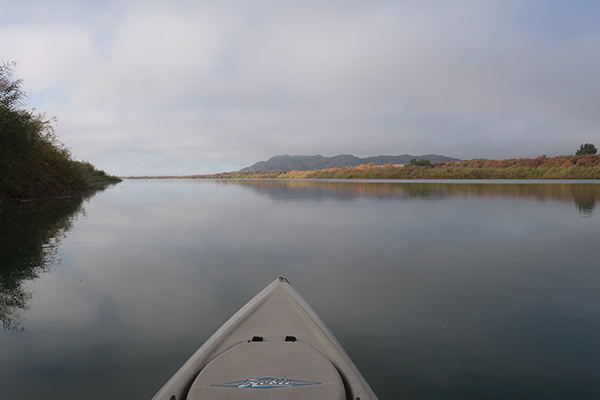 The kayak fishing in southwest Arizona on the Colorado River has been very challenging lately due to the large swings in river water levels and seasonably cold river water. 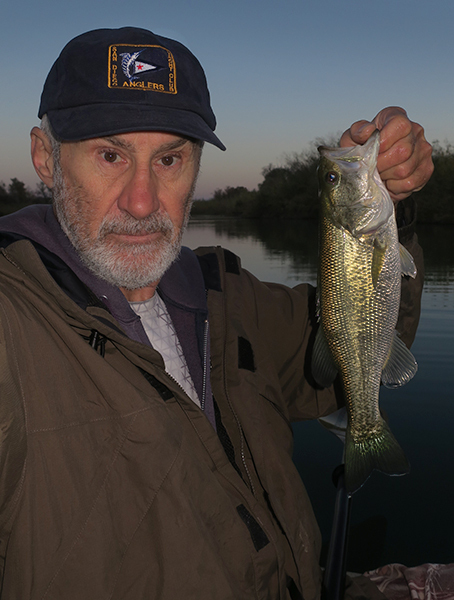 Spots that usually have plenty of bass fishing action have been nearly dead. All the fishermen we’ve spoken with have not had much success either. The fish just aren’t biting. There has also been significant rainfall here in the desert resulting in lots of mud and flash flooding. You don’t get many foggy days on the Colorado River in Arizona, but we’ve had it. I have been recovering from a serious accident so my time in the kayak has been limited. That and the slow fishing makes me grateful to catch one decent fish. Largemouth bass are not the only fish in the Colorado River. 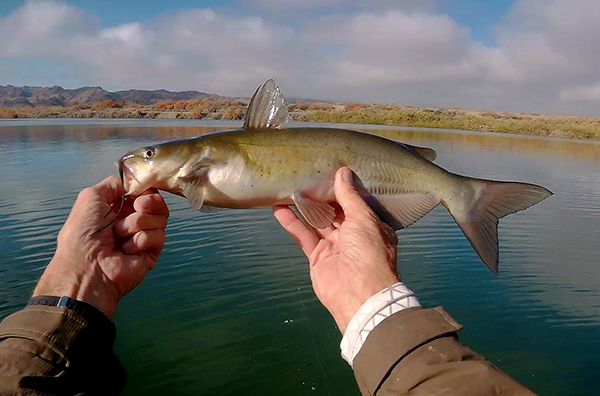 This channel catfish saved me from being skunked one day. Not a nibble from the local largemouth bass. The river water levels have stabilized and it looks like the water temperature is warming up, so as long as the people in San Diego County don’t take too many long showers, the fishing action should be picking up. There are a lot of big bass out there and they must be getting really hungry so keep checking back!